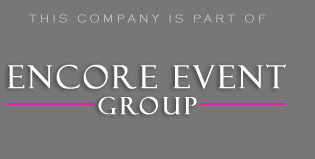 Corporate events are one of Encore’s specialty! We provided the Michigan DJ entertainment for Don Lors Electronics Farmington Hills Corporate Party. This is repeat clientele of ours. Our company staff has taken care of their holiday celebration since 2006. It was a referral from one of their co workers. We actually ended up doing their wedding reception DJ. They held the party @ Vladimir’s Banquet Hall. This facility has the capability of doing up to 3 receptions in a night. They are a family run operation and provide all the catering on-site. One of the great tools besides online planning that we give you as clients is called Pick n Play access. Since all the co-workers got one of our Pick n Play cards, we knew all the songs guests wanted before hand. This is a great option, because it helps us gauge your audience before the event. We get a good idea for what they would like while breaking the ice with the. For the first hour of the event, we played cocktail style music. This is when the guests are arriving, it can be a mix of jazz, Frank Sinatra, or Spanish Guitar. The second hour is usually the meal time. The staff at Vladimir’s can do plated, family-style, or buffet. They have a special room they use for the buffet line. Their bar is large enough to accommodate guest lists up to 400 in attendance. What a lot of Michigan corporate events will do is provide raffle for prizes. Don Lors did just that with a bunch of great gifts. Management made sure there were a variety of gifts for their co-workers to choose from. For example, the grand prizes included 60 inch flat screen LED TVs. I was very impressed with their CEO as he announced the winning numbers. He did a great job keeping the guests engaged while going through the prizes quickly. It can be very hard to mix up the announcements on the mic, but he was so natural with the delivery! I guess that comes with the territory of being the CEO of Don Lors. Their photographer took a lot of amazing shots throughout the night. We even got the chance to interact with the employees with a bunch of games and activities. These are some of the best ways to get things going at the beginning. See you guys next year! Are you planning an event and want to learn how we can make it unforgettable while saving you $1000 on your DJ price? Click the image below to get started.